Pretty in Pink! 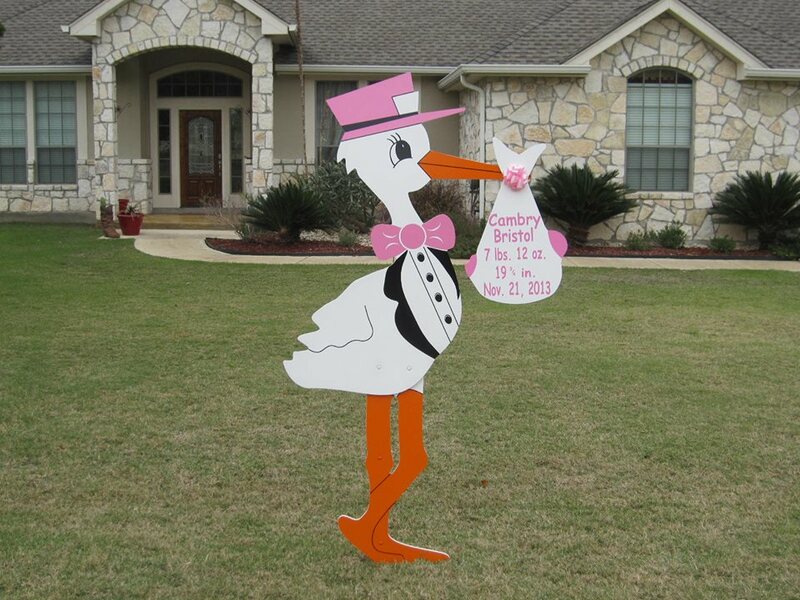 Cambry Britsol was born November 21, 2013. She weigned 7 lbs. 12 oz. and is 19 3/4 inches long. Her proud parents are Christopher & Kim. Congrats! 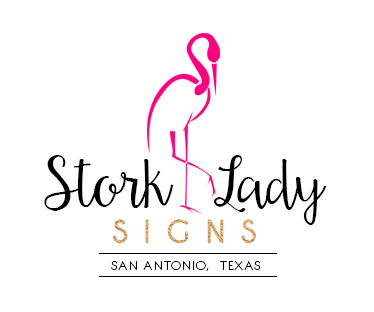 Stork Lady Signs has the cutest storks in all of San Antonio, Texas. We proudly serve Alamo Heights, Alamo Ranch, Castle Hills, Converse, Fort Sam Houston, Lackland Air Force Base, Leon Valley, Lincoln Heights, Live Oak, Universal City, Hollywood Park, Kirby, Olmos Park, Randolph Air Force Base, Schertz, Shavano Park, Stone Oak, Terrell Hills, The Great Northwest, Windcrest, Helotes, Edgewood, Boerne, Leon Springs, Rio Medina and more. Please contact us at 210-601-7351 for more information and visit our page to see our current rentals.